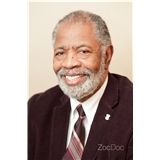 Henry L. McCurtis, MD (New York) - Book Appointment Online! am a psychiatrist, psychoanalyst, with a specialty in addiction psychiatry with an integrative psychiatry practice based on a diagnostic assessment and treatment guided by biological, psychological, social, and behavioral paradigms. I have a developmental orientation toward understanding human behavior. I have a special interest in attachment styles and their implications in interpersonal conflict in families and couples. I have a keen interest in the phase of life problems resulting in the major transitions in development such as the passage from adolescents to young adulthood, marriage, divorce, mid life adjustments, retirement, and grief and bereavement. Great doctor. Trust him to be both understanding and clinical in his approach to helping you.